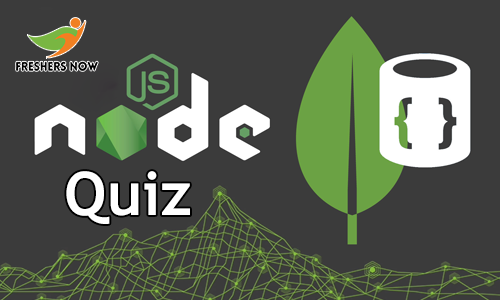 Aspirants can practice Node JS Quiz as a challenging test from this post. Here we are providing you with the Node JS Multiple Choice Questions in the below sections of the article. Moreover, to enter any professional field one has to face coding as well as tricky questions. Also, you should have the minimum technical knowledge to qualify for campus interviews. In the below sections, students can find the instructions of practicing the Node JS Quiz and Benefits of taking the quiz. Hence, the contenders can check the information related to the Node JS MCQ Online Test from this article. Moreover, the candidates have to practice the Node JS quiz to make themselves perfect in that tool. Candidates who are left with a shortage of time and unable to find the appropriate Node JS MCQ Online Test Details can go throughout this article. Here we are providing you with the complete knowledge regarding the Node JS topics as well as subtopics. Also, one should have an aim to clear the interview. Also, every single minute is precious. Hence, not to waste your valuable time we are furnishing the quiz pattern in the next section. Before attending the Node JS Quiz, aspirants need to check the instructions that we are providing below. The total number of questions in the quiz are 25 questions with no time limit. Aspirants can mark one question at one time. After completing the test click on Submit Test. If you do not submit the test, the results will not be declared. During the process of taking the quiz, candidates should not refresh the page. 1. Node.js is ________ by default. 3. What npm stands for? 4. How many Node object methods are available? 5. What is the default scope in Node.js application. 6. In Node.js from the following which is true about writable stream? 7. Which of the following Node object property returns the local part of the name of a node? 8. Node.js terminal (REPL) is used for _________. C. the preview of node.js application. 9. Which of the following template engines can be used with Node.js? 10. How to test if two nodes are equal? 11. Which statement execute the code of sample.js file? 13. Which of the following core module is used to create a web server in Node.js? 14. What code print the endianness of operating system? 16. How can we check the cujrrent version of NPM? 17. Which of the following code can create a web server ? 18. Which method is used to compare the placement of two nodes in the DOM hierarchy (document)? 19. Node.js application can access which of the following databases? 20. Which code converts a buffer buf to JSON object? 21. Which of the following is a GUI-based debugging tool for Node.js? 22. Which of the following is true about readable stream? 23. Which of the following is true about fs module of Node? 24. Which of the following module is required to create a web server? 25. Which of the following is the correct way to get a normalized path? Candidates can learn the details about the tool. Also, you can revise the topics quickly. Improve time management and accuracy. Also, build up your self-confidence levels. Candidates can check their result from the bottom of the Node JS quiz session. As soon as you submit your answers, the results will be displayed on the screen. By taking the Node JS Quiz, the applicants can learn the new topics. Students need to practice the Node JS MCQ Online Test which is provided on this page to get more ideas.